NEW: Journalist: "He was pointing in many different directions"
Police say suspect Anders Behring Breivik "did not express any regrets"
(CNN) -- The suspect accused of ambushing a political youth retreat and killing dozens of people in Norway last month returned to the island where the shooting rampage took place as part of a police investigation, authorities said Sunday. Police said attack suspect Anders Behring Breivik "was not emotionally unmoved," but did not express remorse during his return to Utoya Island Saturday. "He did not express any regrets about what he had done," Police Prosecutor Pal-Fredrik Hjort Kraby told reporters. Police said they spent nearly eight hours questioning Breivik and walking with him around the island during a reconstruction of last month's attack. The Norwegian newspaper Verdens Gang published what it said were photos and video images of the reconstruction. The images show a blond-haired man walking with police investigators around the island, moving his arms as if he were holding an assault rifle. 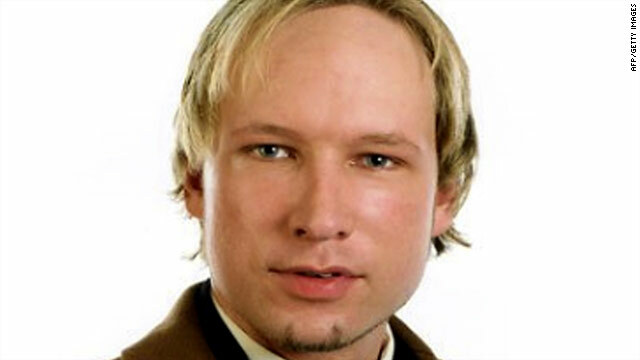 The newspaper identified the man as Breivik. Images show the man apparently wearing a bullet-proof vest and a harness that tethers him to police as they roam the wooded island. In one video clip, he stands on the shoreline and appears to be taking aim at the water. "The whole thing was quite intense," Hjort Kraby said. Heavily armed police surrounded the island and helicopters hovered overhead, said videojournalist Mathias Jorgensen, who recorded images of the shooting reconstruction for the newspaper, also known as VG. He declined to say how the newspaper knew about the police island trip, which was closed to the press. Jorgensen said he was not allowed to accompany police and documented the questioning from afar. "(The man) was pointing in many different directions and also raising his arms as (if) to shoot," Jorgensen told CNN. "We only saw part of it, of course, because they were hidden behind the trees for most of the time," he added. "But from what we saw, they spent the whole day doing this." Breivik is accused of the July 22 bombing of Oslo government buildings in which eight people died and a shooting rampage on the island which killed 69. When last month's shooting started, many of the 600 people attending the ruling Labour Party's youth camp on the island ran down a hill and to the water, survivors said. They said the shooter came after them, screaming "You are all going to die!" The gunman aimed for those who desperately tried to swim toward safety, survivors said. Hjort Kraby said Sunday that the reconstruction was a necessary step in the police investigation, but "had to be conducted in a way not offending the victims and their relatives." Breivik has pleaded not guilty in court. His lawyer told reporters last month that his client was "a little bit surprised" that he was able to pull off the bombing and shooting rampage, for which authorities say he has claimed responsibility.